Norbourne Estates is a subdivision in Louisville KY. It is located between Breckenridge Lane and Browns Lane just south of Shelbyville Road. This is an older, well-established subdivision with initial guidance from Frederick Olmstead. Homes here are a little more expensive than average in St. Matthews. Usually, you’ll find homes that range from $180,000 to $870,000. The median estimated home value in Norbourne Estates is $382,000. Since November 2015, the estimated home value has increased by 6.22%. The Hollinden Team updates this search for Norbourne Estates homes on a daily basis from the Louisville MLS. Click the map to the left to view each home for sale in Norbourne Estates. There is a satellite view button in upper right. The estimated population in Norbourne Estates is 448 people. The median household income is $133,333. The majority of the residents are 35-54 years old. Health care, social assistance, and retail trade are the most common professions for Norbourne residents. Constructed of this subdivision began in the 1930s and 1940s. There is a definite European charm to the area. In Norbourne Estates, you’ll find cape cods, traditional style two stories, and colonial style homes. Each home in this neighborhood has its own character. Unlike many homes in St. Matthews, many Norbourne Estates have two car garages. The overall look of the neighborhood is very park-like. There are many mature trees and well-maintained landscaping. Throughout the neighborhood, there are several benches for people that are walking through the neighborhood to sit down and enjoy the beautiful views. Homes in Norbourne Estates have 1,400 to 3,900 above grade square feet. Most of these homes have basements too. One to three full bathrooms and three to five bedrooms are what you’ll see in these homes. The inside of Norbourne Estates homes are is just as beautiful as the outside. Many of the houses that have sold in this neighborhood have been updated on the inside. What makes these homes so beautiful is the original charm mixed with the modern day updates. It is hard to find homes quite as unique as the homes in Norbourne Estates. Norbourne Estates is in the Jefferson County Public School District. Public schools in the area include St. Matthews Elementary School, Westport Middle School, and Waggener High School. 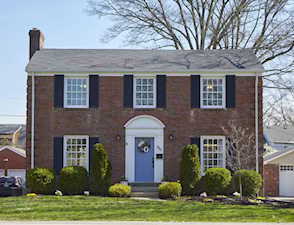 Private schools nearby include Our Lady of Lourdes School, Trinity High School, Friends School, Christian Academy of Louisville, Holy Trinity Parish School, and Holy Spirit School. 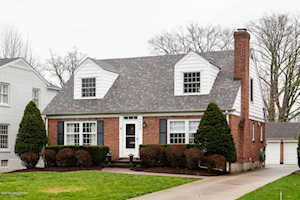 Homes for sale in Norbourne Estates, a neighborhood in the Greater Louisville KY area, are included below. 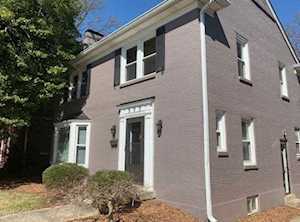 These properties for sale in Norbourne Estates are updated every day from the Louisville MLS. If you would like to learn more or have any questions about any of these Norbourne Estates luxury homes for sale, just click the "Request More Information" button on any property detail page. We can provide you with past sale information, comparables, disclosures, and tax info -- and we'd love to answer any questions you have.